Governor Terry McAuliffe has vetoed the two bills that would have extended Virginia’s coal subsidies through 2019. It’s a laudable act of fiscal responsibility, and surely no more than Virginia taxpayers had a right to expect in a time of tight state budgets. And yet it was also an act of courage in a coal state where mining companies have had far too much political power for far too long. 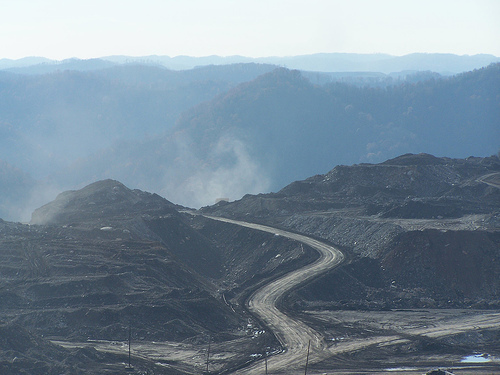 You’d like to think legislators would now focus on working with the Administration to help southwest Virginia communities shift away from their unhealthy dependence on coal mining and instead develop new, cleaner industries. The tens of millions of dollars that have been spent annually on coal subsidies could be much better directed to job diversification efforts. Unfortunately, legislators representing coal companies—I mean, coal counties—have already vowed to reintroduce bills next year to keep the taxpayer largesse flowing. They have time; the subsidies won’t actually expire until January 1, 2017. It’s been 20 years since Virginia began subsidizing coal mining via these two tax credits, bleeding the state treasury of more than $500 million in all. And it’s been three years since the Joint Legislative Audit and Review Committee (JLARC) issued a critique of the various Virginia tax credits that included an especially harsh assessment of the handouts to coal companies. Yet instead of canceling the credits in light of the report, the General Assembly promptly extended them. Even Governor McAuliffe didn’t actually try to end them completely this year. Legislators rejected his efforts simply to scale them back, leading to this veto. So if we didn’t get jobs for our $500 million, what did we get? Most of the money has gone to enrich coal companies, but a portion went to fund the Virginia Coalfields Economic Development Authority (VACEDA). VACEDA’s board includes coal executives, a fact which has served to intensify rather than lessen coal’s hold on the area. Perhaps VACEDA’s economic diversification mission would prove more successful if the state were to fund it directly, with money not tied to coal, and were to insist on reforms to VACEDA to ensure board members don’t have a conflict of interest. In addition to propping up the coal industry, the tax credits also serve to lower the price of Virginia coal purchased by our utilities. This shifts energy costs from ratepayers to taxpayers, but it also makes it easier for coal to compete against other forms of energy, including renewable energy like wind and solar. And since making taxpayers subsidize electricity rates artificially cheapens electricity, it also lessens the incentive to conserve energy. In an age of climate change, this is simply bad energy policy. Most economists agree that energy policy should seek to make electricity rates reflect the true cost of producing energy. This should include costs imposed on the public in the form of higher health care costs for asthma and heart disease as a result of power plant pollution—costs known as “externalities.” The coal subsidies do the exact opposite; instead of making utilities and coal companies internalize pollution costs, they actually shift more costs onto the public. All this was done in the name of supporting employment in the Coalfields areas. However, the coal subsidies aren’t linked to jobs; they are based on coal tonnage, so mining companies that increase mechanization while cutting jobs don’t lose anything. And cutting jobs is exactly what has happened in Virginia. As the Governor’s veto statement noted, coal mining jobs declined steadily from their highs in the early 1990s to about 3,600 today, notwithstanding the subsidies. A reading of the JLARC report also shows that most of the drop occurred before President Obama took office and the EPA imposed tighter pollution standards. The fact is, coal is in decline, and Virginians will be better off not throwing good money after bad. Indeed, the coal jobs number is barely twice the number of people working in Virginia’s tiny solar industry, which gets no state subsidies. Just this year a House subcommittee killed a bill that would have provided $10 million a year in support for renewable energy projects. Solar is growing by leaps and bounds across the country, while coal fades. Governor McAuliffe has taken the right lesson from that. It’s too bad so many Virginia legislators have not. This entry was posted in coal, legislation and tagged coal, Governor McAuliffe, legislation, VACEDA. Bookmark the permalink. Ivy, this is powerful and needs a wider audience! Can you edit it and send it as an op ed to the RTD? Virginia Tech has extensive (and theoretically credible) data tables and charts on coal. It takes a little clicking around to get what you seek. We’ve heavily supported carbon industries yet their supporters keep potential competition from receiving the same benefit. All the “business friendly” talk really means “traditional business” not innovation. Many decry taxpayer dollars spent on failed innovation but then blindly continue dumping taxpayer funds to traditional allies ignoring proof that they did not and will not deliver what was promised – jobs. When will we wake up to reality? This piece shoukd get wide distribution. Maybe it can get some people’s attention.